I was looking forward to share with you my last order in Shein website. As you could see in my Instagram profile, I am a big fan of Shein. I am in love with my flower maxi dress I wore in my Mallorca travel last summer. Another of my favorite look is this beautiful and elegant two pieces look for my friend wedding. 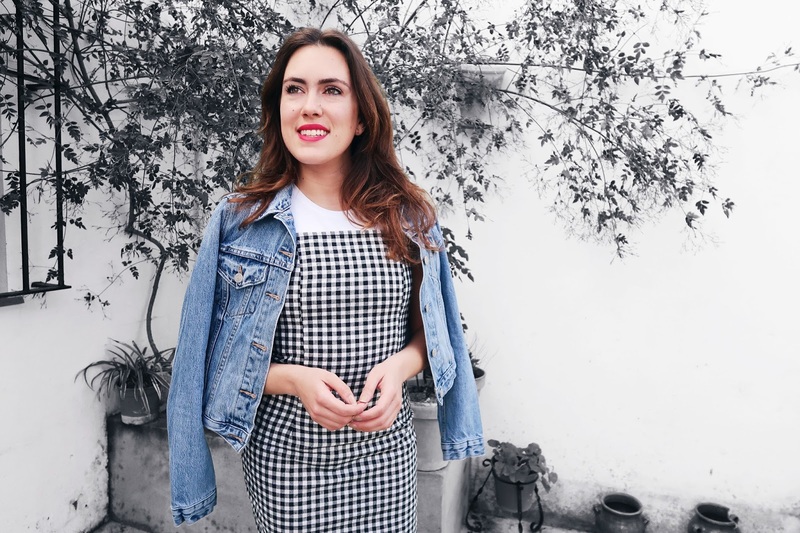 This time I was looking for another dress, oooof cooourse, but casual and for daytime so I chose this cute Check print Dress. About the dress, its fabric has an awesome quality and even with little white parts you can’t see any transparencies. An advice I give to you is that you should order one size more. It happens with this dress because its fabric isn’t elastic, so I use to wear an M but a L size is better for me in this case. With my casual look I added a white T-shirt you can wear under your dress and a pair of white sneakers. As you probably know, I posted some pics of my London travel so a new travel post is coming on the blog! 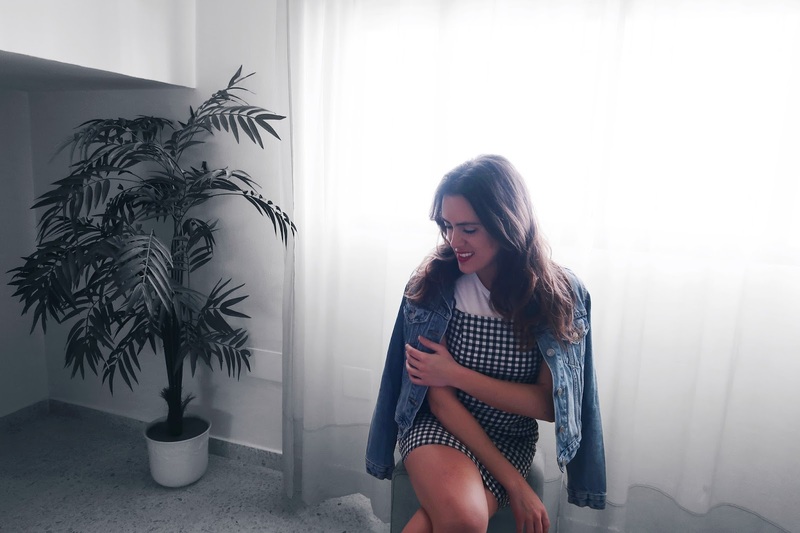 Estaba deseando compartir con vosotros mi último pedido en Shein. 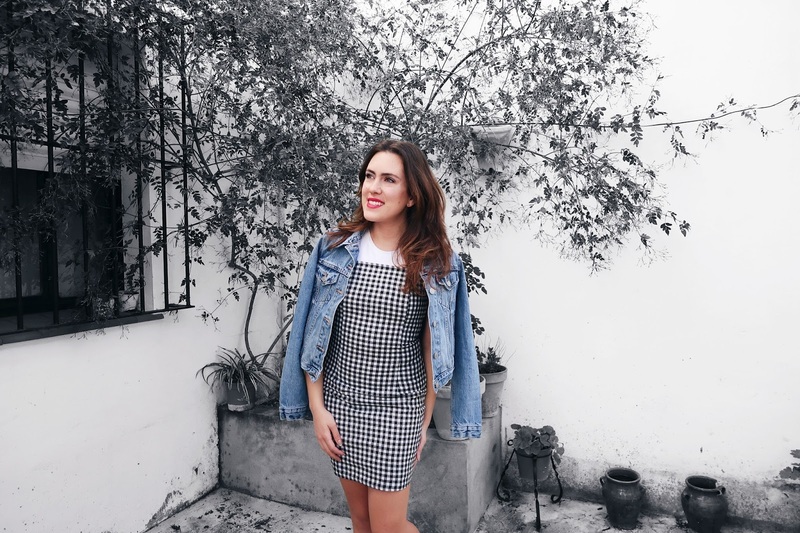 Como probablemente os hayáis dado cuenta por mi perfil de Instagram, soy una fan de Shein. Estoy enamorada profundamente de mi maxi-vestido deflores que lleve en mi viaje a Mayorca el verano pasado. Otro de mis looks favoritos lo forma este conjunto bordado de dos piezas que lleve para la boda de una amiga. 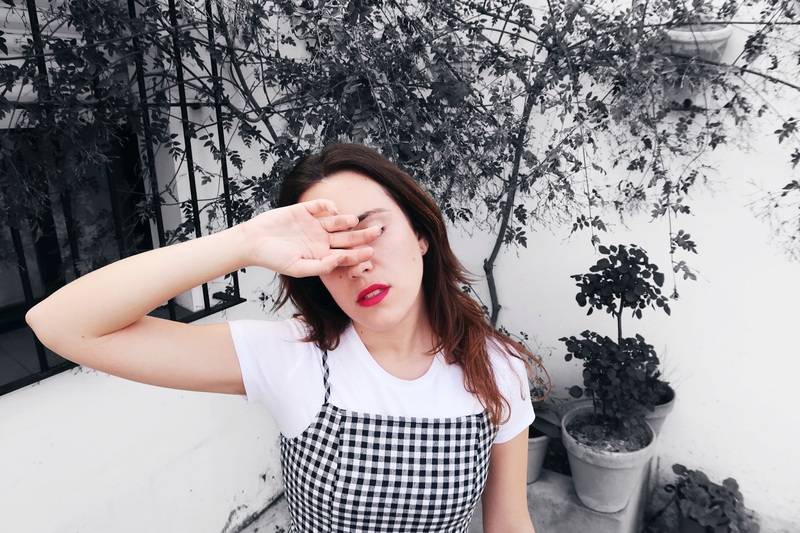 Esta vez estaba buscando otro vestido, cooomo no, pero casual y de diario así que elegí este bonito Vestido estampado. En cuanto al vestido, la tela tiene una calidad increíble y aun teniendo partes blancas no se transparenta para nada. Un consejo que te doy es pedir una talla más. 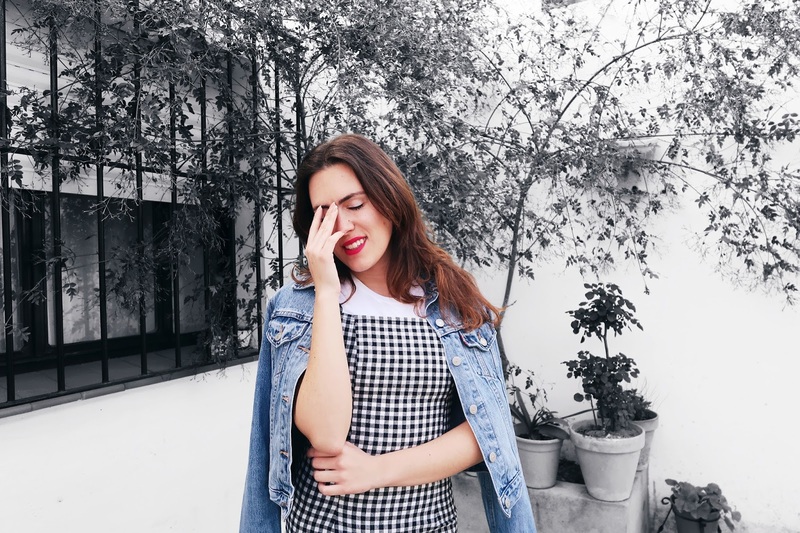 Eso ocurre porque la tela del vestido no es elástica, asi que yo suelo usar una M pero en este caso me vendría mejor una L. Este look casual lo complementa a la perfección una camiseta básica blanca de mangas cortas y unas zapatillas blancas también. Como probablemente sepas, estoy subiendo fotos de mi viaje a Londres… lo que significa… que un nuevo post de viaje esta de camino! ¡Espero que pases un fin de semana genial! Wooooooo!!! Estas preciosa!!!! Me encantaaaa. Besos. Thank you so much! Love your blog. Thank you! Sure! I will look for you on Bloglovin! 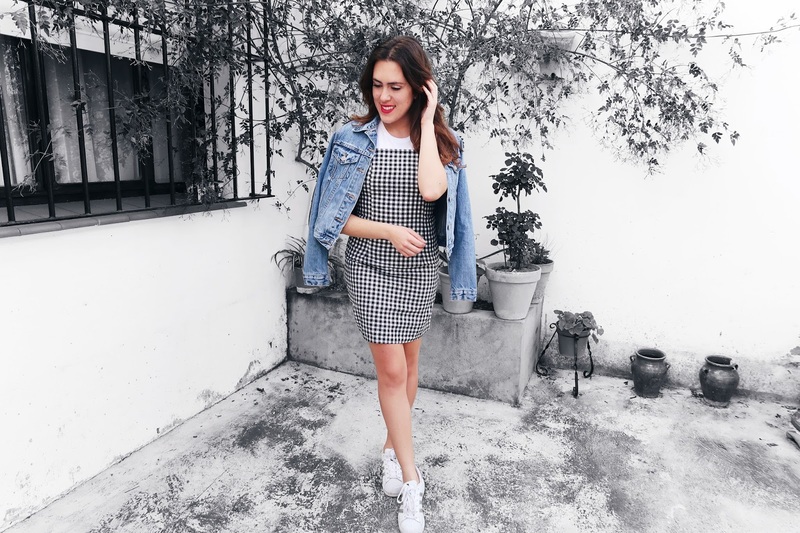 This check-print dress is sooo cute and looks great on you! Also, I love how flawless your hair looks! de cuadritos negros y blancos! y los has sabido combinar super bien!! un beso guapa :) feliz fin de semana! Gorgeous babe! I am in love with your dress and it is in my wishlist now. Love this dress! This print is one of my faves. Sure, I will follow you! Yes, I have a lot of Shein clothes and they are so beautiful. I really love this dress! It was perfect for your travels <3 I will need one too! Love your style, the dress is so pretty! The dress is so cute, but most of all I love the way you styled it! Shein does have some really on trend styles.